We haven’t been posting much about ebooks of late, though we have the best of intentions of starting to do so again. 🙂 (And JASNA members may have read our articles about ebooks in JASNA News.) But as this is Read an Ebook Week, we would like to take the opportunity to give a shout out to our favorite ebook site, Girlebooks. Laura McDonald has put together a great selection of ebooks by women authors, handcrafted (we know that sounds weird, but hands-on coding makes a difference) with beautiful covers and an eye to aesthetics that many free ebooks out there simply do not have. 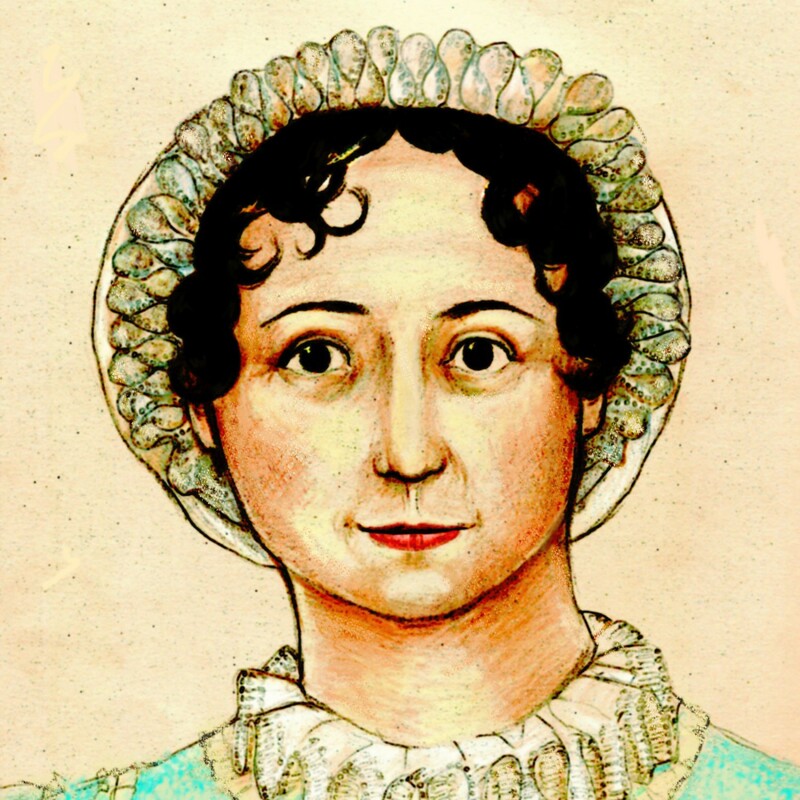 All of Jane Austen’s books are available for free download, and there is also a reasonably priced omnibus edition. The free public domain ebooks alone can keep you in reading material for months, but do check out the ebook store with great selections such as Nachstürm Castle by Emily C.A. Snyder (read Heather L.’s review and the Editrix’s review at Girlebooks), a rollicking and romantic sequel to Northanger Abbey. The books are available in just about every format you might want, and if there’s some obscure format you really, really need, we recommend the gorgeous and absolutely free calibre for both your ebook library and format conversion needs. And remember, you don’t have to buy an ebook reader to read ebooks. All the formats available at Girlebooks can be read on a PC, though some formats will require a download and installation of free software. And if you have a PDA or smartphone, you have all the equipment you need to read an ebook. eReader and Mobipocket are available for PalmOS Classic or Windows Mobile, the iPhone has a positively embarrassing selection of ebook reading apps (Stanza is the most popular), and while we prefer eInk devices (such as our EZReader Pocket Pro) for reading, we’ve been playing around with pReader for WebOS on our Palm Pre the past few weeks, and we really like it. 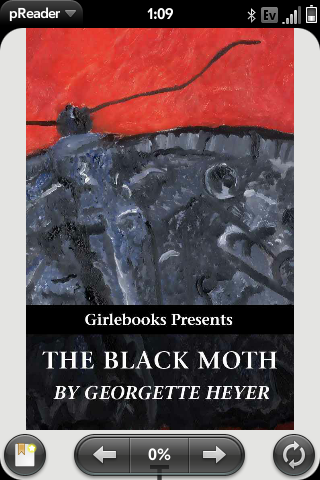 We’ve loaded up all of Jane Austen’s novels from Girlebooks and also a copy of The Black Moth by Georgette Heyer (that’s a pReader screencap of the beautiful cover painting to the right; click for full version). If your device has Internet access, you can download books right over the air just the fancy-schmancy high-priced ebook readers. Give it a try! As we like to say, having all of Jane Austen’s books with you right on your phone or PDA all the time is the ultimate Janeite security blanket; comfort reading is a just few taps away. If you have any questions about ebooks, feel free to ask in comments! Sounds like a great site. I’ve visited, but can’t quite figure out how to download from there onto my iPhone. Cany anyone give me any tips? but the catalog is not working. I haven’t tried the second, newer set of instructions. Apologies to all who tried the Stanza catalog for Girlebooks recently and it was not working. I fixed the problem and it’s all back to (very beta) normal. Please let me know if you run into further issues. Thanks!